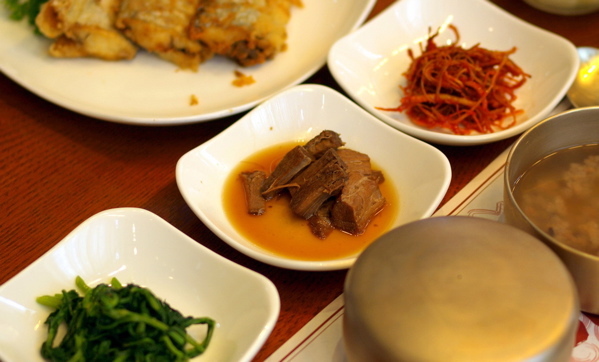 As the temperature drops, keeping warm is only a matter of heading west – to little Korea, in NDG. The Anglo enclave is jam-packed with top-notch Korean joints, full of fiery delicacies, accompanied, of course, by hot sauce and banchan, spicy pickled condiments. This NDG institution serves up a truly addictive, burgundy-coloured version of this pork rib and potato stew ($9 – $23). Plus: Try the pu-jun, a seafood pancake ($9). 5908 Sherbrooke St. W., 514-487-1712. Light up and inhale the sizzling beef ($16) – marinated in soya sauce, sesame, chili oils and garlic – that cooks on tabletop grills. Plus: Try the mandu gook, an egg and pork dumpling soup ($10). 3300 Cavendish Blvd., 514-489-6656. DaMoa uses slightly less salt and fat than most Korean eateries, leaving their breaded and fried sweet and sour chicken ($9) with a kick that won’t leave tracks on your arteries. Plus: Try the pan-fried vegetable dumplings ($6). 6922 Sherbrooke St. W., 514-482-1731. Watch kitschy Korean TV and chow down on a “mixed meal” ($10) of rice, ground beef (or tofu for vegetarians) and julienned veggies; it all comes together when your server stirs in a raw egg that cooks quickly in the hot stone bowl. Plus: Try the tender, spicy squid ($10). 6400B St. Jacques St., 514-482-3490. Take in the heat and heavy flavours of kim chi soup, with chunks of soft tofu and bacon-esque pork ($8). Plus: Try the fried mackerel ($9). 5545 Upper Lachine Rd., 514-484-5263. Image courtesy of Taikwonweirdo on Flickr. Definitely a big fan of Tangsooyuk at DaMoa and I just love how all walks of life come together on Sherbooke street in NDG. Korean food topic is a great idea!